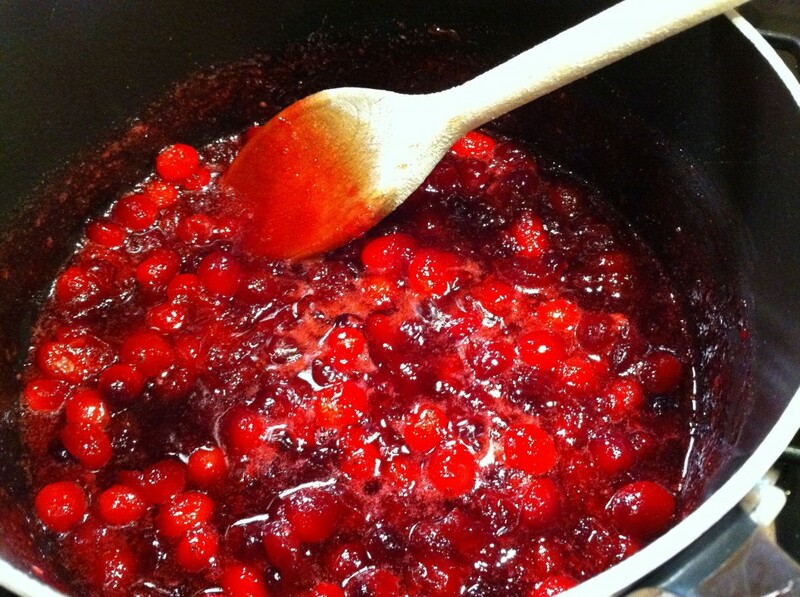 Making Cranberry Sauce is really quick and easy and it’s something I enjoy doing on Christmas Eve. 1. 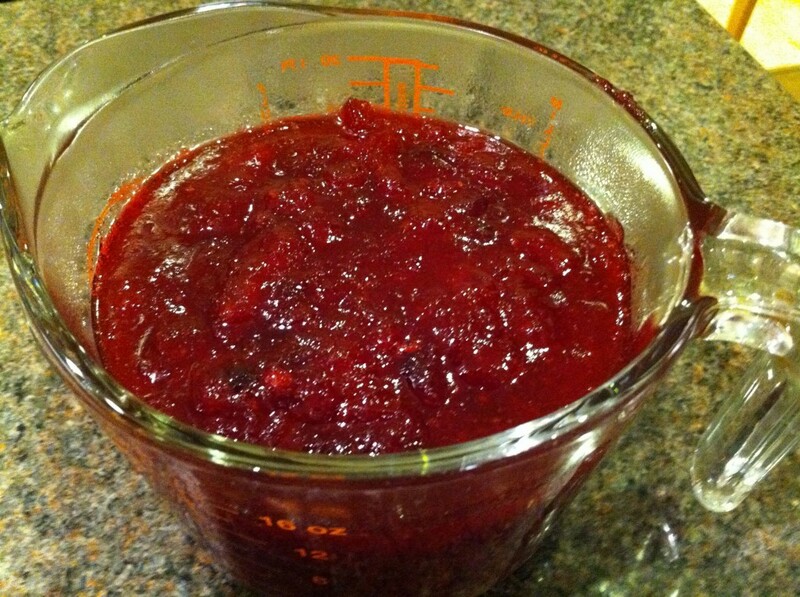 To make about a pint of Cranberry sauce you’ll need a 300g pack of Cranberries and about 100g of sugar. 2. 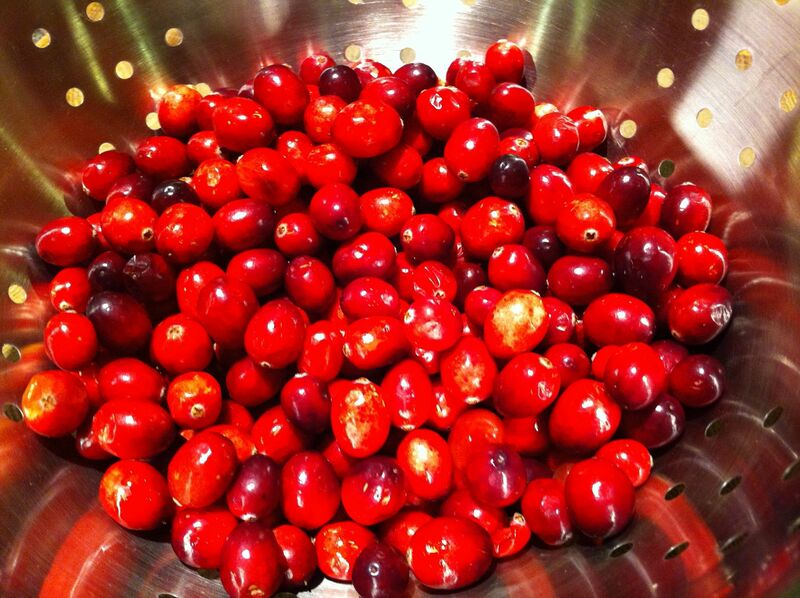 Start by washing the berries and picking out any that don’t look very nice. 3. 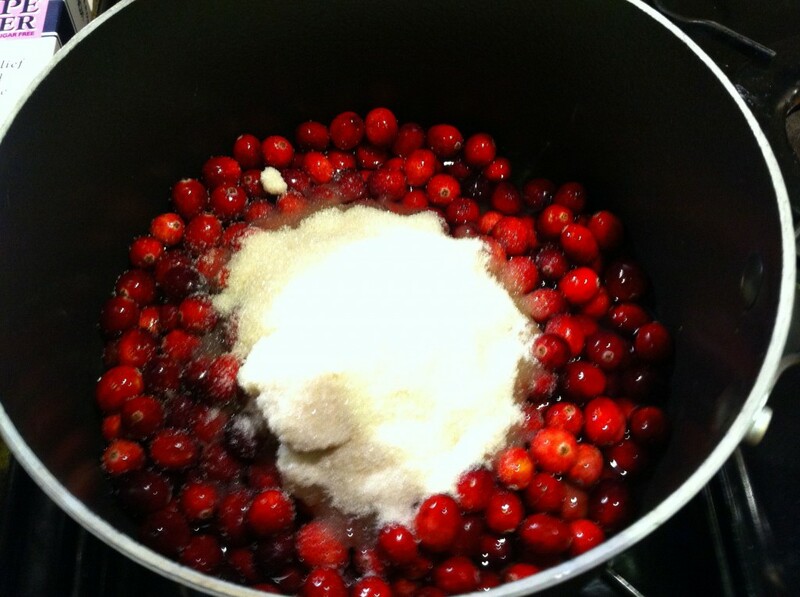 Add the Cranberries to a saucepan with about 300ml of water and add the sugar. 4. Stir in the sugar on moderate to high heat to boil the mixture for 5 to 10 minutes. You can optionally add other flavours such as a little orange juice or cinimon at this stage. The mixture should thicken up after 10 minutes, keep on a low heat until it reaches the consistency you are looking for. 5. When you are happy with the consistency and the mixture looks nice and clear take the pan off the heat and allow it to cool for a few minutes. When it is cool enough to handle transfer the sauce to a storage container. Do take care, don’t spoil your Christmas by burning yourself! That’s it. Cover with cling film and keep in your fridge until needed. This is great with Turkey but also works well with cold meats and hot gammon. 2. Add a teaspoon of good quality marmalade to add a hint of orange flavour.